All ceiling fans have at least one capacitor. Some ceiling fans may have a number of capacitors. 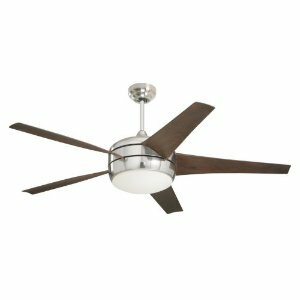 The capacitor is used when you tell the ceiling fan to reverse, as well as provide that initial jolt of energy to the motor to get it going. Knowing when your capacitor is having a problem is the first step in identifying a problem with your ceiling fan. There are a number of ways to isolate the issue to your capacitor. 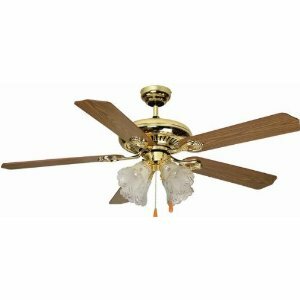 If your ceiling fan is running slow or not at all, that is one symptom. It dosen't matter what speed you set the ceiling fan to. Also, if your ceiling fan will not start turning, but you are able to get it started by hand, that is another symptom of a bad capacitor. And the last symptom would be if you hear a humming, but your fan will not turn properly. 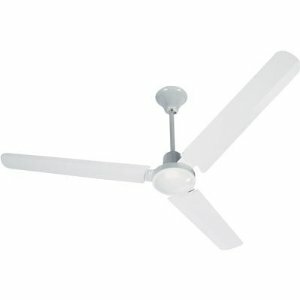 In most cases, the fan will run if you try to turn it by hand, but won't start spinning on it's own. The capacitor would be a black box inside of your ceiling fan switch housing. 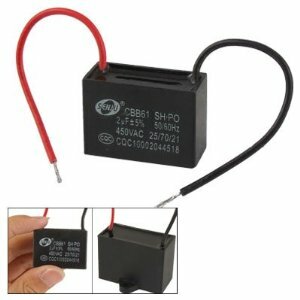 If the black box looks like it's burnt or melted, that's another way to identify that yes, your capacitor requires replacement. Installing a new ceiling fan capacitor is actually pretty easy. All you need to do is unhook the wires on your capacitor, put a new one in and re-attach the wires. 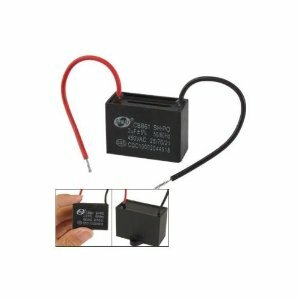 The major thing you need to watch out for is when purchasing a new ceiling fan capacitor, that it matches the values of your previous capacitor. the voltage/amperage going through your motor is very important. Too low, and it won't turn the blades. Too much, and it will burn out your motor. 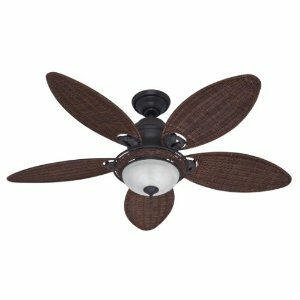 The best thing to do if you don't know the microfarad value of your capacitor, is to google the make and model of your ceiling fan. Try looking for the technical datasheet on the fan from the manufacturer, or the user guide. You may also have the original user guide or manual that came with the fan. If so, look for the values that your capacitor requires so you know what kind of replacement you need to purchase. 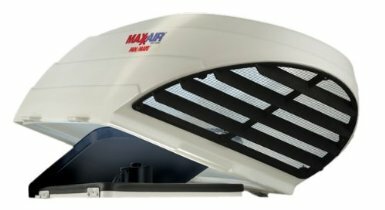 Maxx Air 850 fan mate rain cover for ceiling fans made of galvanized screen provide superior rain protection. 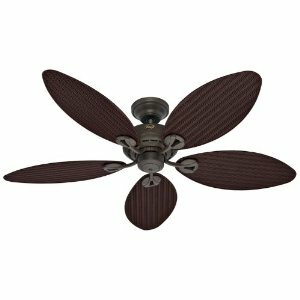 The cover includes hinged opening mounting brackets to allow for cleaning and servicing of your fan easily. Item model number of the product is 850 and product dimensions are 32.4 x 20.6 x 13 inches. It is a high strength polythene cover with UV inhibitors. This lasts for long and is a strong material for usage. Three year limited warranty is provided with the product. This cover completely encloses your ceiling fan vent allowing your ceiling fan vent to open for ventilation protecting your fan for your RV interior. 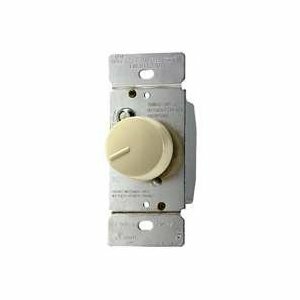 Gino AC 450V 2uF ceiling fan motor is a square shaped device that is an add on product for your ceiling fan to make it work more elegantly and is used as a start running capacitor. It is coated with metalized polypropylene film and is a non polar capacitor. Dimensions of the product are 3 x 2.6 x 0.6 inches and weighs about 0.8 ounces. 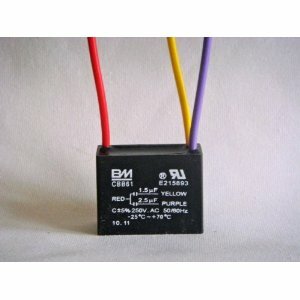 Voltage is rated as 450V wire length is 10cm/3.9". Model number of the product is CBB61.